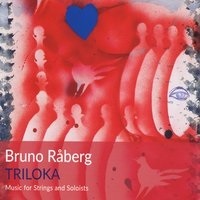 In a 2005 interview, double bassist Bruno Raberg discussed how Scandinavian music reflects the country's vast mountains and forests. "You can see very far and that calmness and meditative spirituality comes through," he says. Born in Sweden, but a longtime resident of Boston, you sense Råberg still carries his homeland close to the heart. For sure his acclaimed composing has touched base with many cultures. 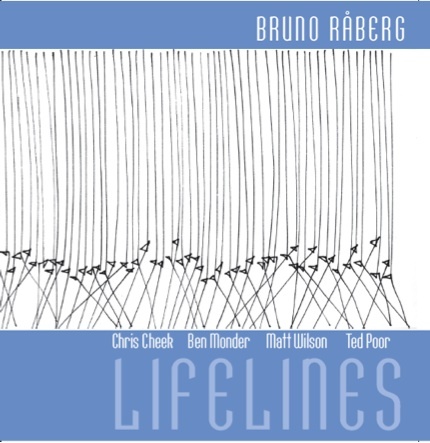 His previous range includes the lush Music For Strings & Soloists (Orbis Music, 2016), an expansive quartet album in Lifelines (Orbis Music, 2008) and the brassy bright Ascensio (Orbis Music, 2004). 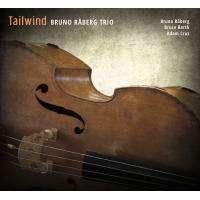 Now with Tailwind comes a spacious sound which rather defines the naturalistic lore that Råberg discerns in Edvard Grieg. His fellow travellers for this journey are well chosen. Bruce Barth even featured as a pianist in the film Malcolm X, with his other credits including David Sanchez, Freddie Hubbard, and Branford Marsalis. How easy in such company to overlook the drummer, yet nothing on Tailwind would swing, swoon or propel rocket-like without Adam Cruz. 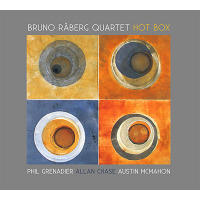 In common with Råberg he has strong links to the Berklee Global Jazz Institute. The trio gets into full flight on ecstatic opening cut "Message XII" where a nimble hook bookends the piece. A melody so at ease, it takes up unpaid lodging in the brain without demur. The funky chords on "Song For Dolphy" sound humid enough to do Steely Dan proud, then "A Closer Look" is one real starry ballad. Råberg likes to come up with the 'seed' to his works, by playing one line on the bass and singing another on top. This might be why so many catchy bits bob in and out, here there and everywhere. "Le Candide II" busts a gut from bar one, only to later find stillness in closure. But the album's emotive heartland is surely the title track, alongside "Lone Tree Hill." The former delves into a realm of jazz-folk mysticism, with the latter wandering a dreamlike landscape. 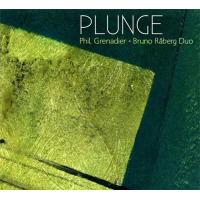 Both numbers feature Råberg at his most fluid and flexible, as Barth enters a musical netherworld. Cruz prospers with his rattling and rolling on "Paris Window," before Råberg goes arco on a cover of "Here's That Rainy Day." Imitating the human voice on his instrument, he wins admirably with every honeyed scrape of strings. Milt Hinton once said the bassist is "the Atlas of the jazz band" who carries the whole act on their shoulders. Some classical art shows Atlas bearing our entire celestial spheres. Whatever the weight of expectation, the magnetic Tailwind could be Råberg's ode to the auroral, like a long glance northernmost to his roots. Track Listing: Message XII; Song For Dolphy; A Closer Look; Le Candide II; Tailwind; Lone Tree Hill; Paris Window; Here’s That Rainy Day; Rainy Day Farewell; Le Candide I. 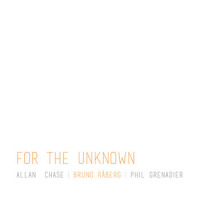 Personnel: Bruno Råberg: bass; Bruce Barth: piano; Adam Cruz: drums.